The last week has been somewhat good for ‘media’ ‘appearances’ of your truly. 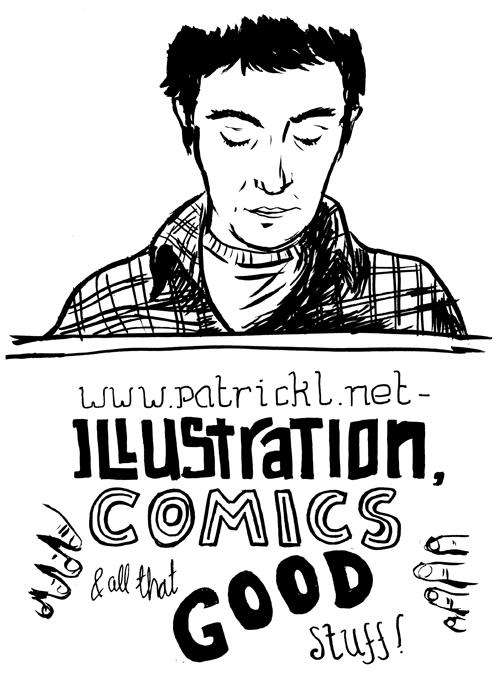 Last Saturday there was an article in the Irish Times on the homegrown Irish comics scene. I got a couple of choice quotes, and they even called Last bus “a small press gem”. Awesome. I’m going to use that in all my self promotional garbage from now on. Seriously though, it’s a very well researched and written story, check it out here. I was also interviewed by the ever delightful Liam Geraghty for the Comic Cast. If you can get past the first ten minutes of faltering answers, half finished sentences, ums, ahs, yeah and … um yyeeaahh all set to a backdrop of nail hammering and Jeff Buckley ambience I think I may have made some sense. Never knew I could think aloud so incoherently when I try to describe my work. Anyway, Last Bus issue two is now available in my online shop. If you live in Dublin, pick it up in Story on Crow Corner, Sub City, The Winding Stair or Forbidden Planet. Off to Bristol on Saturday morning, volcano permitting. Will have a new mini comic version of an old story , an illustrated postcard set (which is related to the image above), alongside brand new editions of In The Aquarium, Stop Gap, and both issues of Last Bus.